The life of a saint by a saint. 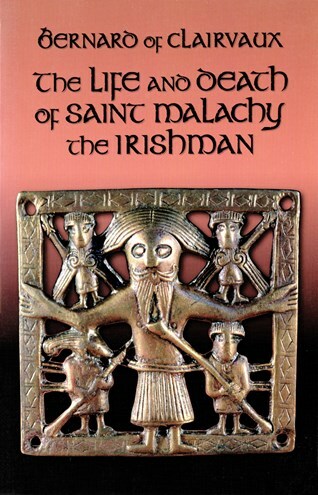 Malachy O'Morgair spent his life and considerable energies exhorting, wheedling, badgering, and praying his countrymen back to christian faith and practice. Bernard holds him up in this Life, eulogy, and hymn as a model to bishops. While medieval hagiography is never unambiguously reliable as a historical source, these works do present a clear statement of Bernard's ideals of sanctity. They also present a generally accurate picture of the Irish church in the mid-twelfth century-a church living amid great social disorder and as yet untouched by the Gregorian reform or the new monastic institution.